Life, liberty and the pursuit of happiness – our nation was founded on these core elements, which influence everything from how we interact with our fellow man to the way we run our corporations. 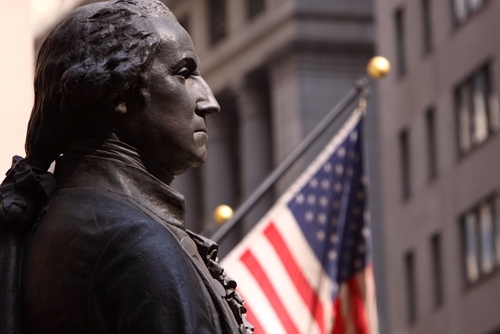 When our Founding Fathers built this nation, it was upon the premises of equality and hard work – two of the most important things to keep in mind when developing policies and practices for a small business. The American Revolution may have happened in 1776, but the effects have long-stood the test of time. As you reflect on the lessons taught by these influential men, consider the following ways their dedication can influence your small business. The Revolutionary War was years in the making, but leading up to the revolution, the Founding Fathers adopted practices and participated in events that would eventually shape the future of the country. After declaring the country as a free and independent nation, leaders met to draft the Declaration of Independence, a document that would outline the rights American citizens would hold. Small business owners should take a hint from Thomas Jefferson, who drafted the majority of the document, and be sure to flesh out their business strategies in a well-researched and carefully-written plan. This document allows managers to have a comprehensive overview of their purpose and plans for their company’s future. When starting up a new organization – whether you’re beginning a business or founding a country – you’ll be juggling a variety of desires, challenges and recommendations from people all across the board. It’s impossible to quell every concern and adhere to every request, but small business owners should be sure to compromise when it comes to certain issues. As you address concerns in the workplace, be sure to adapt a policy that recognizes consumers’ input, as this is vital for your company’s success. Consider distributing promotional products when speaking with upset customers, as they show people that their voices are being heard. The most important lesson to remember from the Founding Fathers is persistence. As they built the nation and separated from Great Britain, our leaders never backed down. If there comes a point during the creation of your small business where you feel defeated, keep this quote from Patrick Henry in mind. “The battle, Sir, is not to the strong alone; it is to the vigilant, the active, the brave,” Henry said, as quoted by theamericanrevolution.org.